Now we wish to have two dropdown menus, one in cell C3 and one in cell C5. But, and here’s the catch, the dropdown in C5 has to be relative to whatever is choosen from the dropdown in C3. So if for instance someone picks France in C3, the dropdown menu in C5 has to give Paris, Lyon and Marseille, but if Slovenia is choosen in C3, Ljubljana, Maribor and Koper are in a dropdown in C5. To achieve this we will use Data Validation with two additions. The first being the INDIRECT function and the second is using the named ranges. In the dialog box you get you choose List under Allow: and point to the cells containing the names of the countries in the Source field. So now you get a dropdown list in cell C3 where you can choose any of the countries. It’s very important to understand that with using Data Validation to create the dropdown, and accepting all defaults under Error Alert you have also effectively limited the input into that table to only the values from the dropdown. Before we can define the dropdown in C5, we must create a few named ranges so that Indirect will point to the right range. We want to name the range where the French Cities are France and so on. We will use Excel to do this for us. We go to Formulas/Create From Selection and choose Left Column. So create the named ranges based on the values in the first column of the data I selected. Doing this gives us six named ranges which we can see at the dropdown in the Name Box. 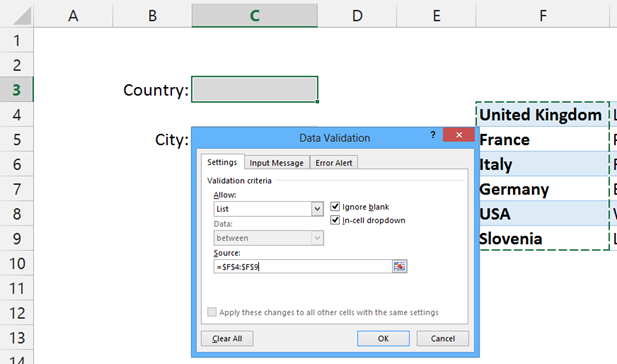 Pay extra attention to the United Kingdom name which was altered by Excel. The name reads United_Kingdom. 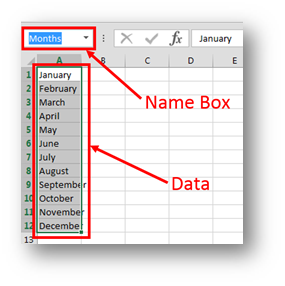 The reason the underscore appeared is that names of ranges in Excel cannot include spaces. 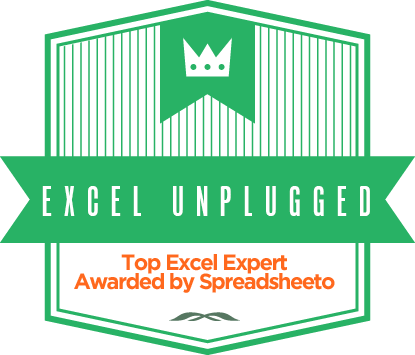 Therefor United Kingdom is not a valid name for Excel and it was changed. This will have dyer consequences for our sample but it will be a learning experience. So now that we have the named ranges we need, we can go to the next step but since the next step will include the Indirect function we should first familiarize ourselves with that function. Same as in the above example, while standing on C5 we go to Data/Data Validation and say Allow: List. Now here the magic. Under Source: we write =INDIRECT($C$3) so we say to excel go and see what is written in C3. We already know it’s going to be a name of a Country. But with indirect we say go look at that name and see if there are any named ranges under that name. 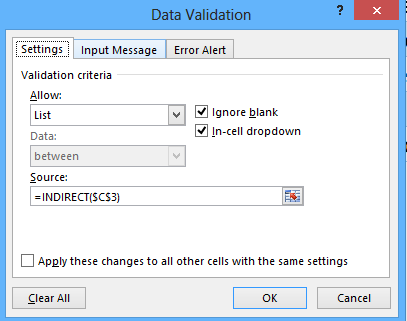 And INDIRECT tells the Data Validation which cells to take as a source and is effectively dependent on what is chosen in C3. 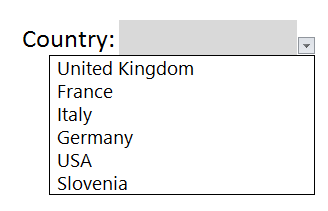 Now this works perfectly for all the countries except for UK, since cell C3 says United Kingdom, the named range for UK cities is under United_Kingdom (for reasons we discussed earlier) the INDIRECT function cannot work and produce a range for the dropdown. In my next article I will be discussing the Named ranges or should I say Dynamic Named Ranges which can take this dropdown a level higher since it would be dynamic and you can add Cities and they dynamically appear in the Dropdown list. Nice tutorial…I don’t suppose you know how to accomplish this (Dependent Drop Down List) when the source data is in a different Workbook? This can be achieved. You open a workbook where you define a name just like we did in the post above. It is recommended that both the name of the range and the name of the workbook do not include spaces. Do not forget, the source workbook must be opened when you are doing this! This will give you a named range in the target workbook that is just the same as the one in the source but with one vital difference. This range can be referenced as a source for the DropDown List. Thanks for trying to help. I have tried that setup and it doesn’t seem to work for dependent drop down menus…works for a single drop down menu, but when when trying to get a dependent drop down situation with INDIRECT then only errors come back. At least that is the case for Excel 2011 on Mac. Anyway, ended up just having the data in a different worksheet in the same workbook and using tables (rather than INDIRECT) to set things up. Thanks again. I’m trying to use this formula but it’s not working for me. I’m trying to reference another file on my shared drive and it won’t let me begin a file name with a character. Could you provide an example from a file on a server? 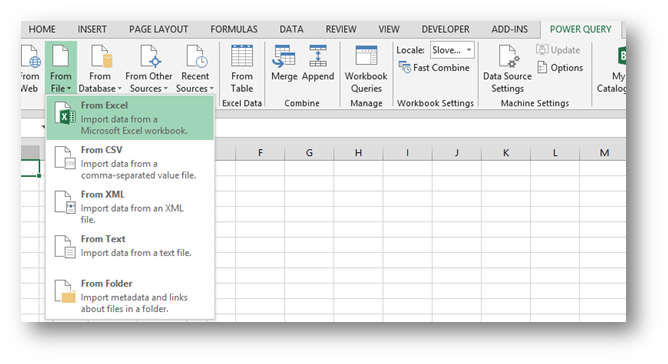 It doesn’t matter where the file is as long as it’s opened in Excel at the time you are referencing it in the Data Validation command. When you close that file, Excel will write down the full path needed for you. it will give you a great idea how to use Power Query to achieve what you want. Thank you for the comment, here are my thoughts on the matter. Thanks for the help but for the time elapsed since the 13th of May, I think things are moving in the right direction. Any idea how to link a table to a tab in a drop-down list? 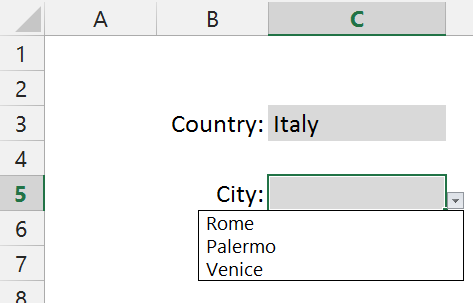 Pertaining to your example, I would want to display a table for Rome that shows monthly crime rates (for example), but then display a new table when I select Venice. On those same worksheets, the dates have been grouped into months. so that I can change the months, but still use the same product drop down list, while having update results if that makes sense. Does the link in terms of your workbook post kind of deal with this? Is there a way to copy this formula down? Ie; Using $C2 instead of $C$2? I am building a worksheet with accounts and then sub accounts using this method. That will work… It certainly does in Excel 2016. Either by simply referencing a range or by using the INDIRECT method… Both approaches work.